The Carcross-Tagish Fist Nation is pledging to become the 51 per cent owner of Yukon's first vertical aquaponics farm, planned for Carcross. Sonny Gray calls the aquaponics system a 'closed-loop cycle which is extremely water conservative.' The fish raised would likely be Tilapia. A Yukon First Nation is pledging to become 51-per-cent owner of Yukon's first vertical aquaponics farm. The facility would likely cost millions to build. Andy Carvill who is Chief of the Carcross-Tagish First Nation says the First Nation is prepared to invest its own funds in the construction. He is confident the project will happen. "We are shooting for this fall, August or September [to start construction]. We're optimistic our product can be hitting the shelves in early spring," says Carvill. Not all the financial details have been disclosed including the projected total cost or to what extent federal and territorial funding would play a role. The Yukon government and federal government have not yet announced any plans to contribute. However both the First Nation and its corporate partner are confident the project will be built and cite recent discussions with those governments as positive. "We're still working out the finer details of financing," Carvill says. The First Nation has already picked out a site near Carcross' community garden. Sonny Gray is the CEO of North Star Agriculture which is a Whitehorse-based partner in the project. 'Vertical agriculture', or vertical farming, uses stacked layers in a controlled environment like a warehouse or even a shipping container to create a growth environment. In this case, the facility would be designed to raise fish and vegetables. He envisions a 3,500-square-metre building in Carcross which he says would require about 20 employees to maintain. He says the vertical hydroponic system could be 10 metres high in order to maximise production in a warehouse-style space. The Canadian Northern Economic Development Agency recently contributed $75,000 towards a feasibility study. Gray says the study has shown the idea is not only feasible but could be profitable in Carcross. "It's basically a recreation of an ecosystem. You have fish being raised and the nutrient-rich water is being passed through a filter and run through racked growing systems. The vegetables' root systems are laying in this nutrient-rich water and growing under grow lights," he says. Gray calls the aquaponics system a "closed-loop cycle which is extremely water conservative." 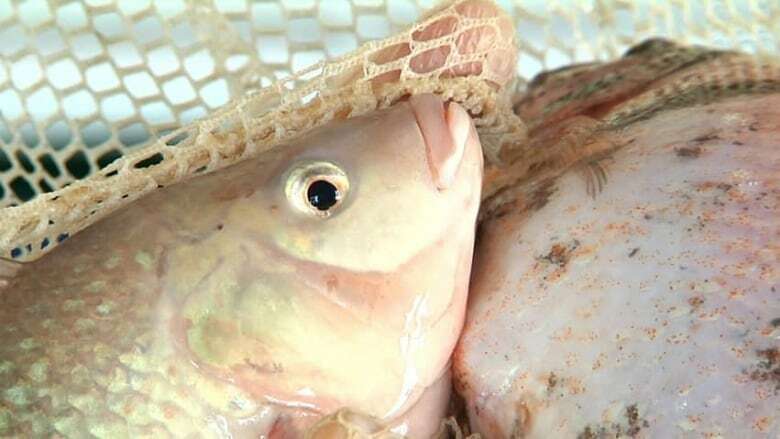 The fish raised would be Tilapia which is common in farming systems. Vegetables grown would include kale, spinach and perhaps even strawberries and other vine crops. Tami Grantham, Natural Resources Coordinator with the Carcross-Tagish First Nation, says the First Nation is looking to reduce its reliance on shipping. "What attracted us to this technology is the ability to grow greens year-round. It's a goal and a mission for the government of Carcross-Tagish First Nation to become food-secure. This is one piece of the puzzle," she says. ​Grantham says food could be eaten locally or shipped to Whitehorse and even Alaska. Construction would be managed through a new corporation created as a partnership between the First Nation and Northstar Agriculture of which the First Nation will be 51 per cent owner. Electricity would be the main power source. Carvill says the chosen property has access to Yukon's electricity grid and says some innovations like LED grow lamps will help to reduce the projected energy costs. 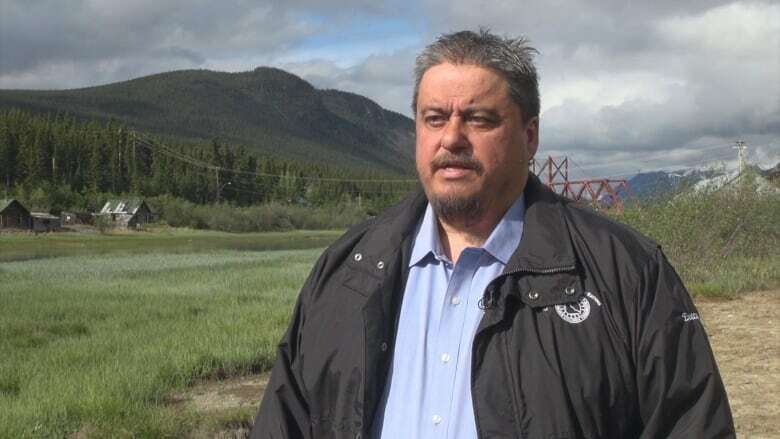 He says the Carcross-Tagish Nation has plans for renewable energy in the community which could one day tie into the project. "We've done quite a bit of work on solar, we're looking at wind energy and geothermal. We're looking at options as to what's suited to the operation," he says. The proposed design is based on the work of a company called NutraPonics, which previously presented its model at northern conference hosted at Yukon College. Carvill says he welcomes any chance to lower food prices in the community. Many people in Carcross make an hour's drive into Whitehorse to buy produce. "If I shop here it's an emergency," he says. "With this operation, not only will we be able to assist with prices going down for locals, but the product — you can't get fresher than that."